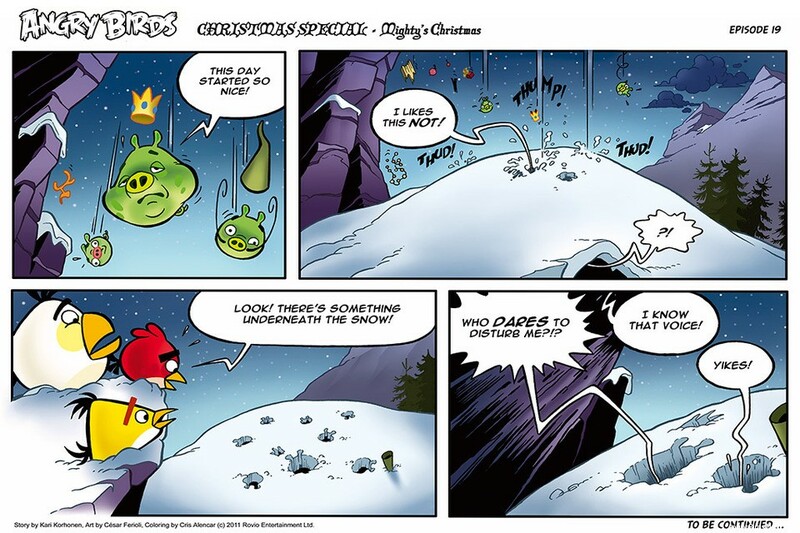 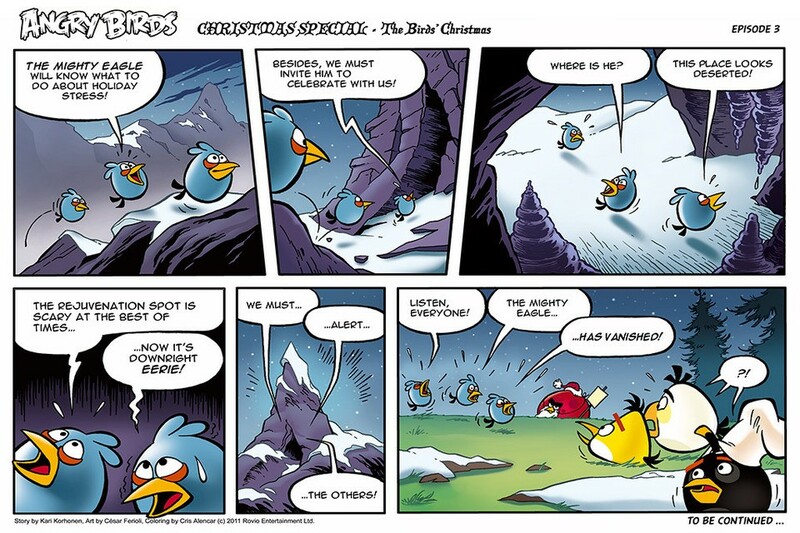 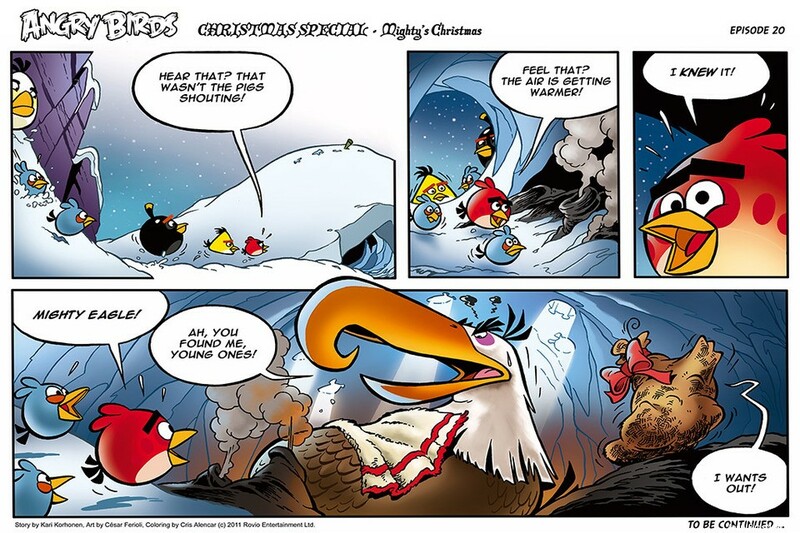 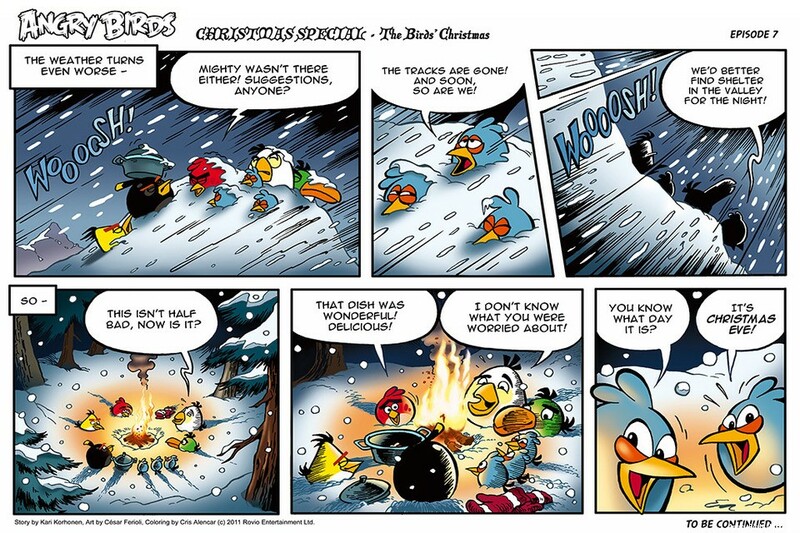 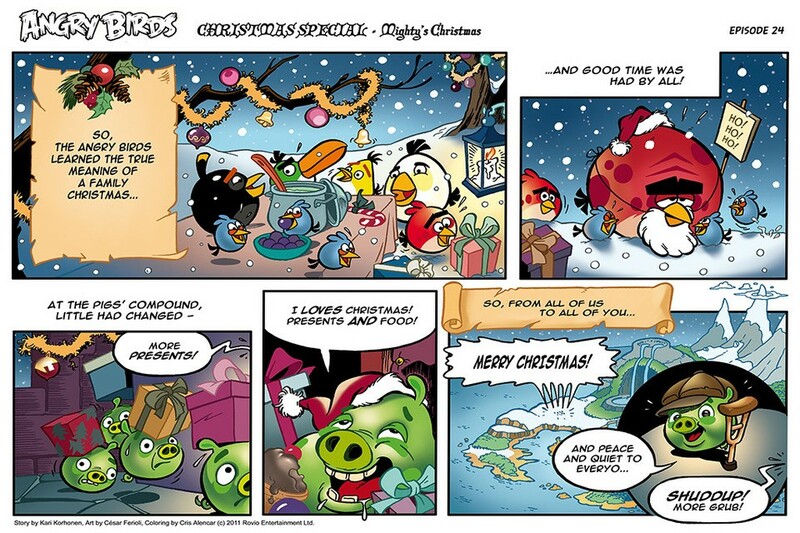 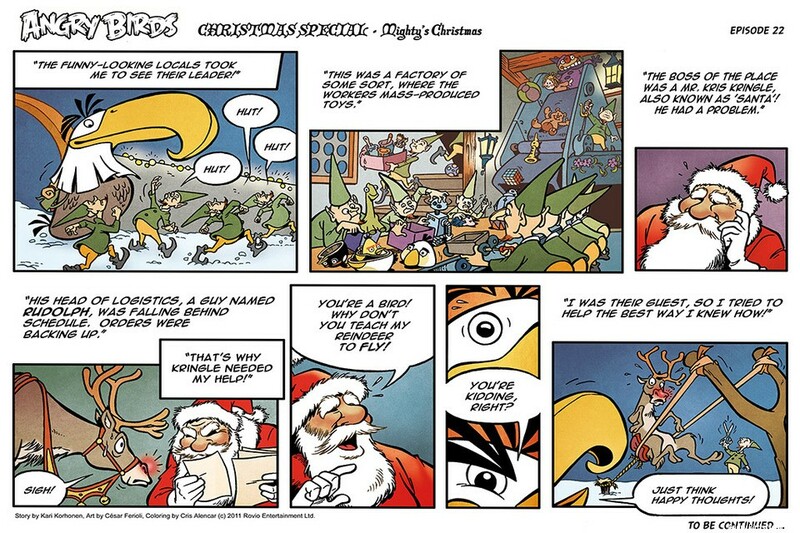 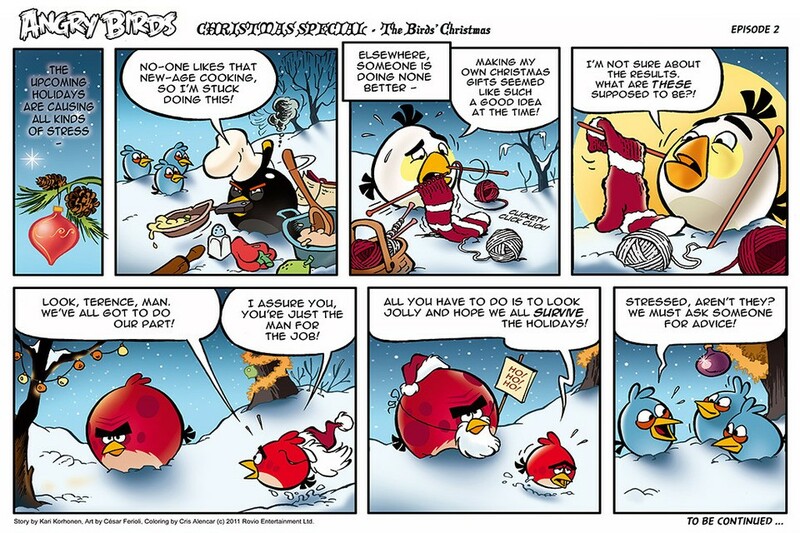 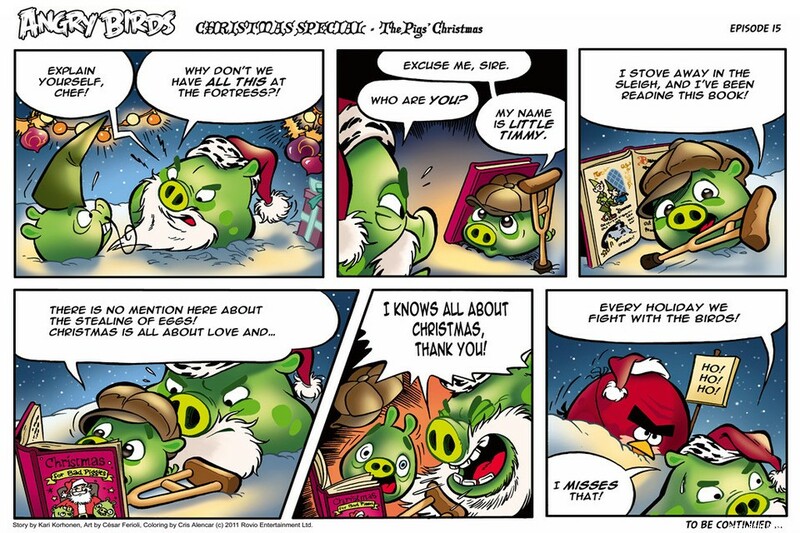 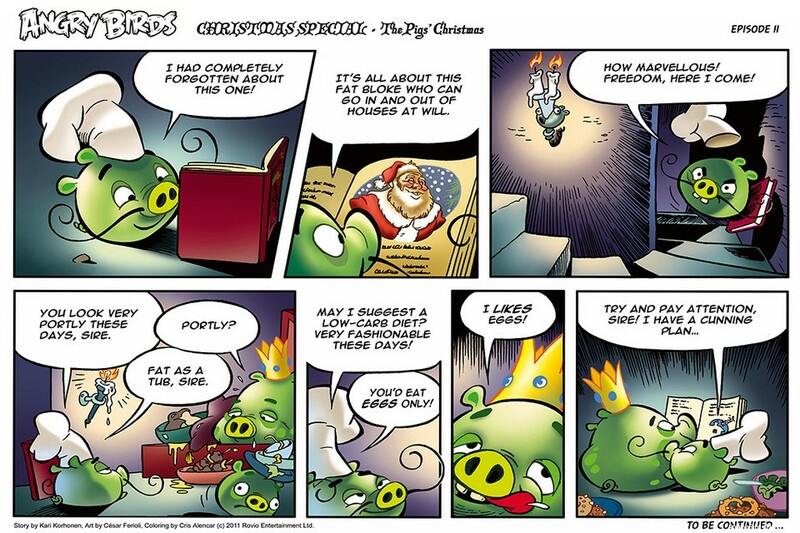 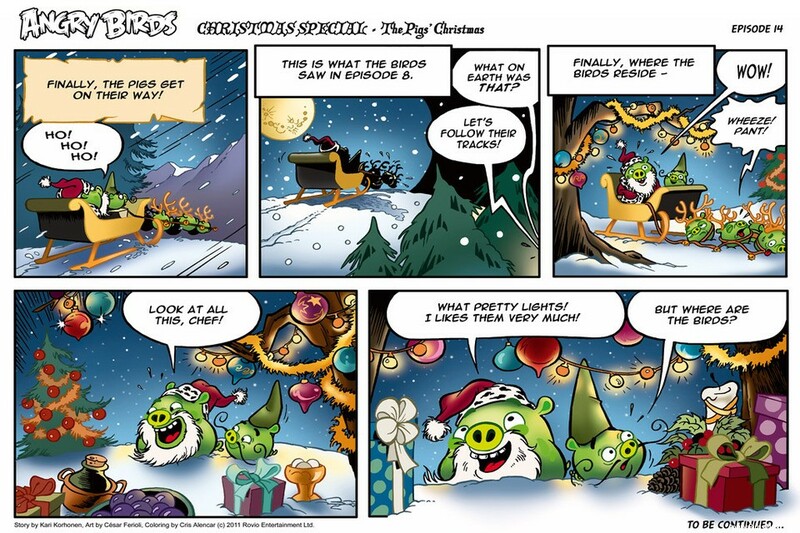 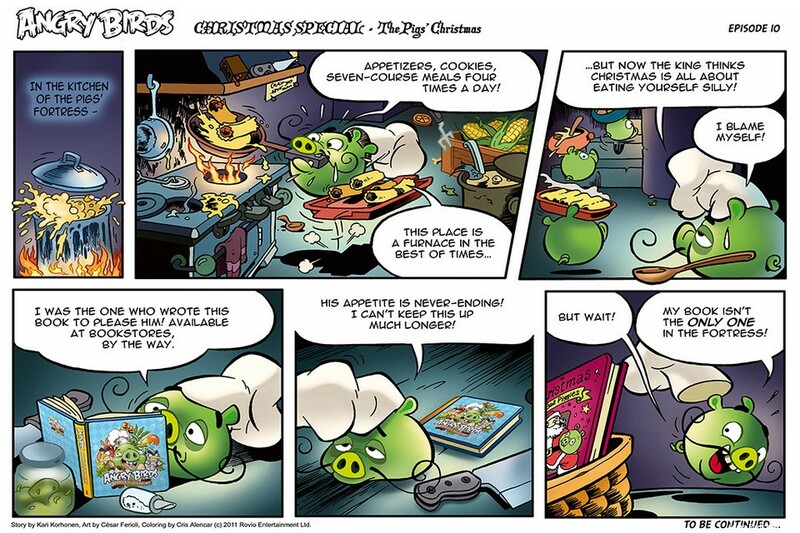 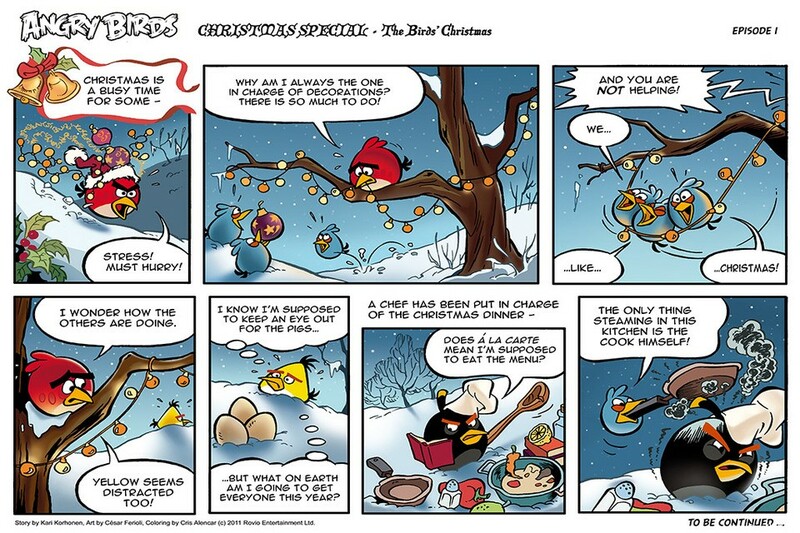 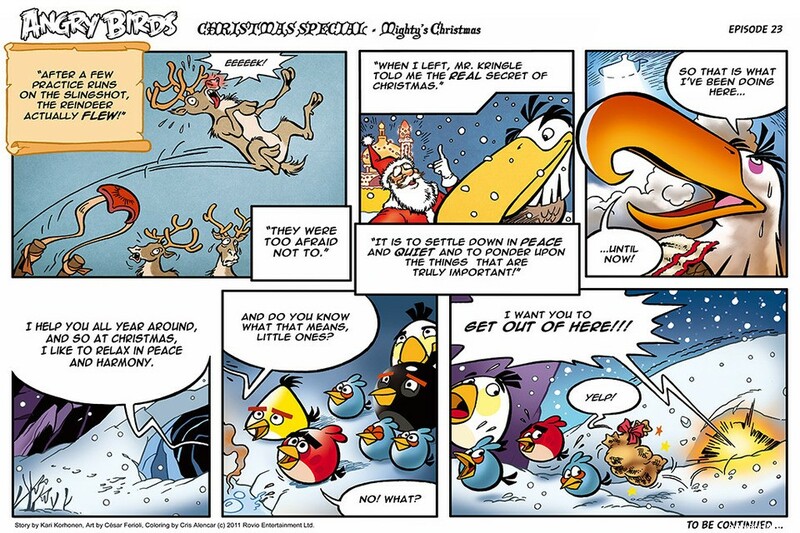 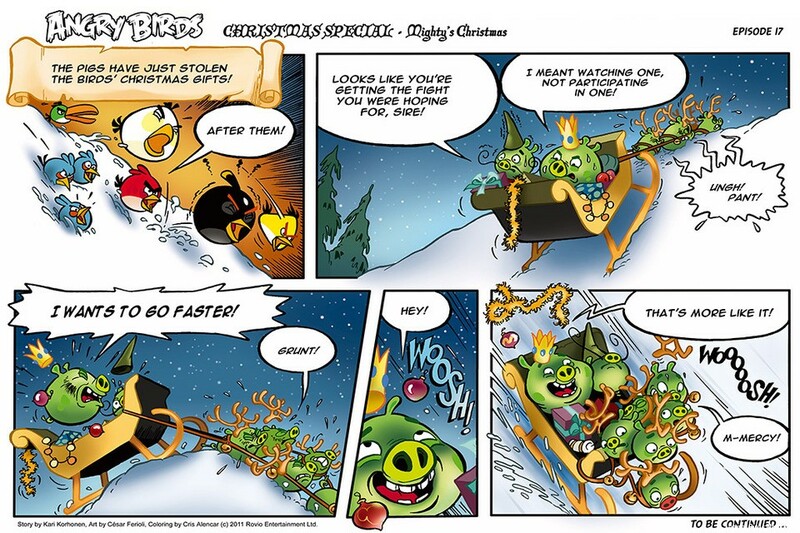 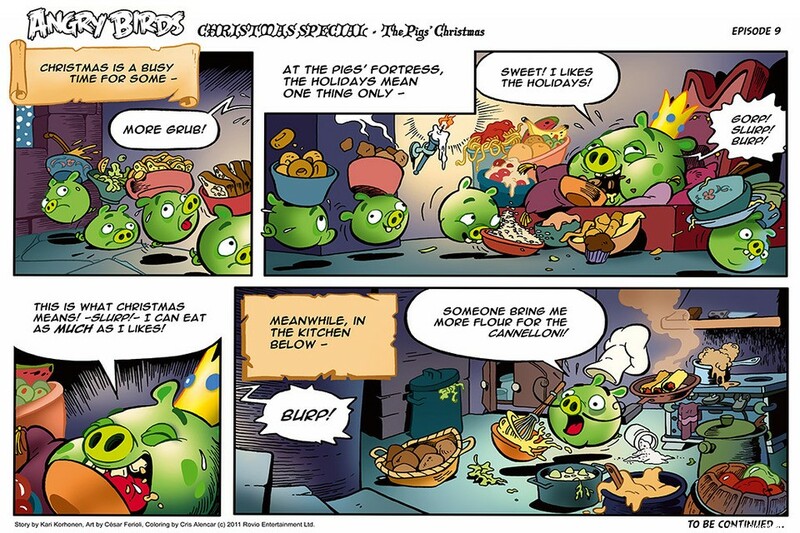 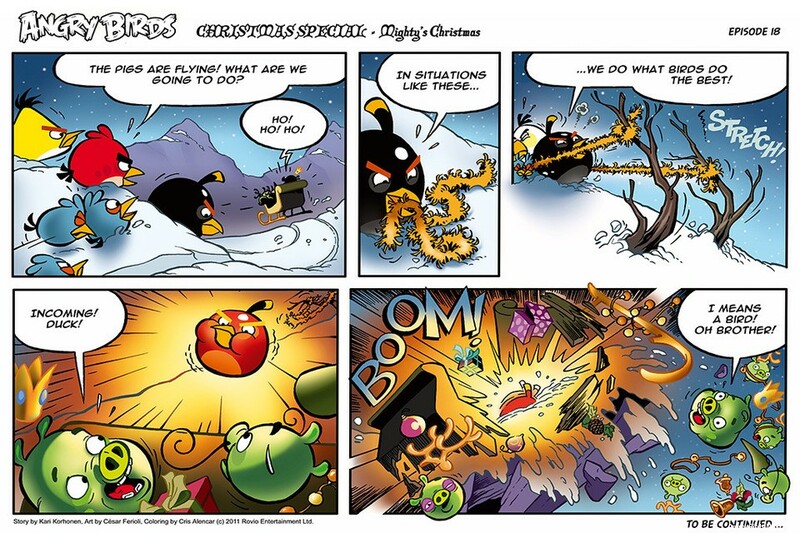 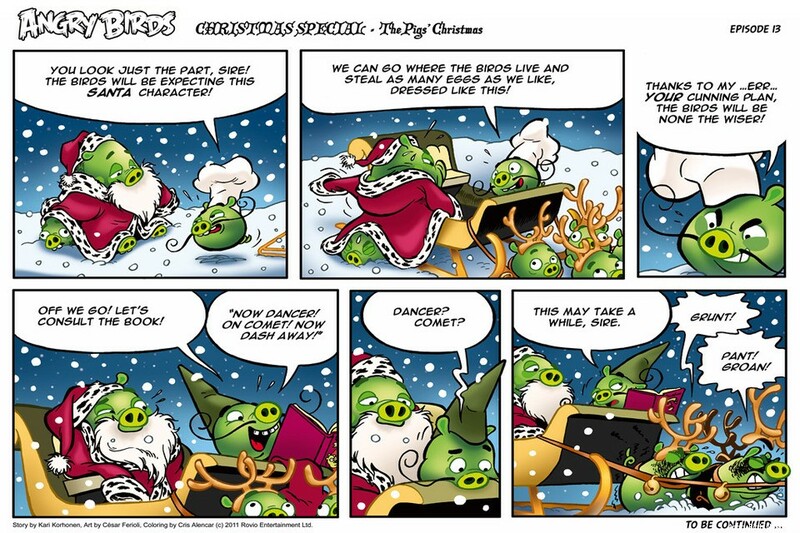 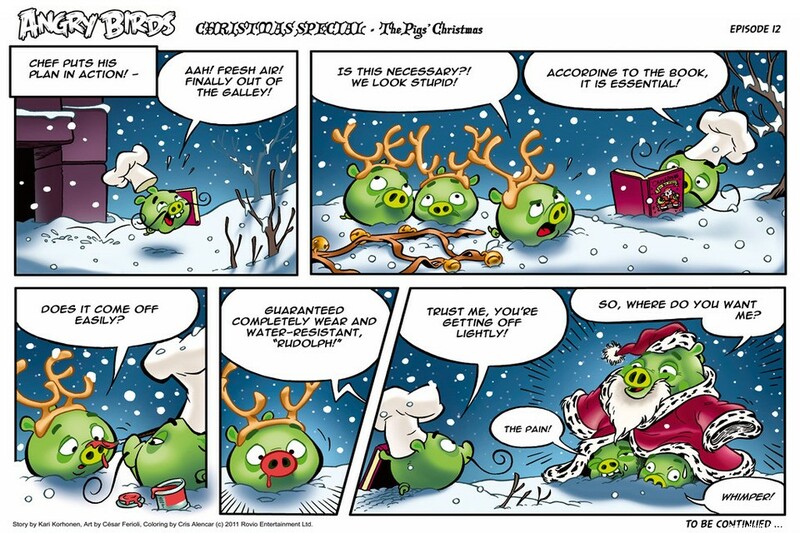 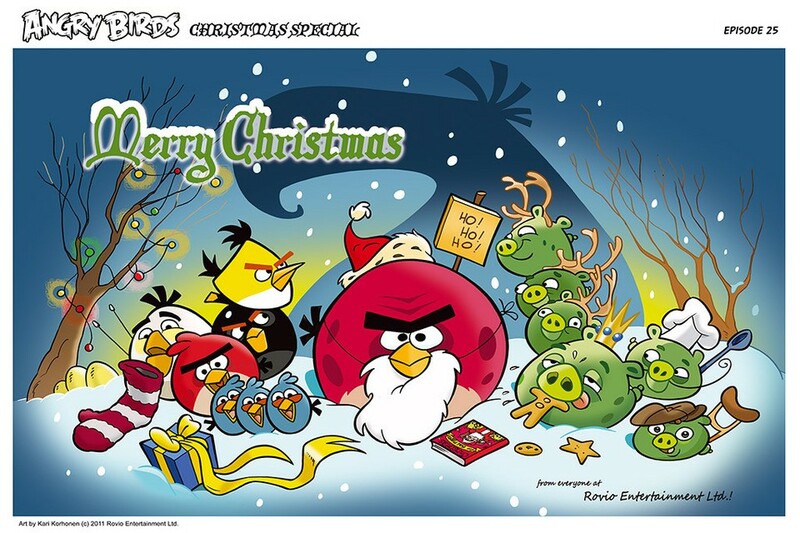 In honor of the Christmas Season, Rovio is doing another daily comic strip. 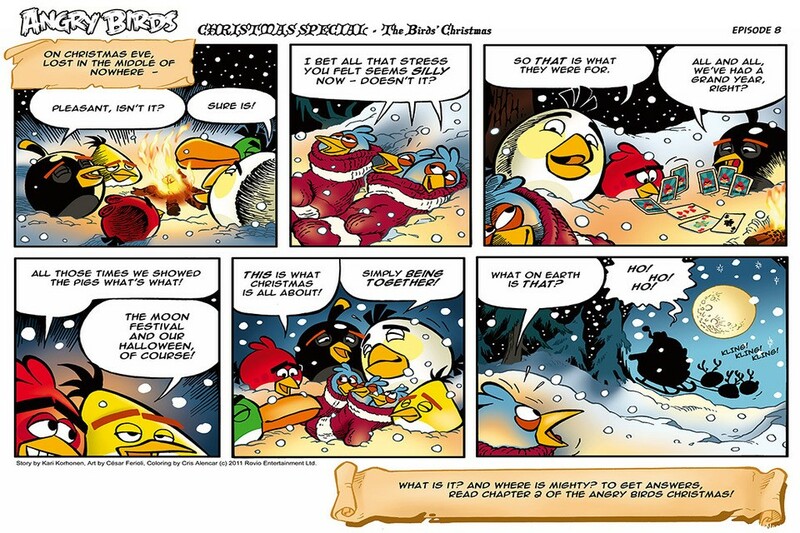 This is the third such comic: The first was for the Chinese Moon Festival, which you can check out in this post, and the second was for Halloween, which is in this post. 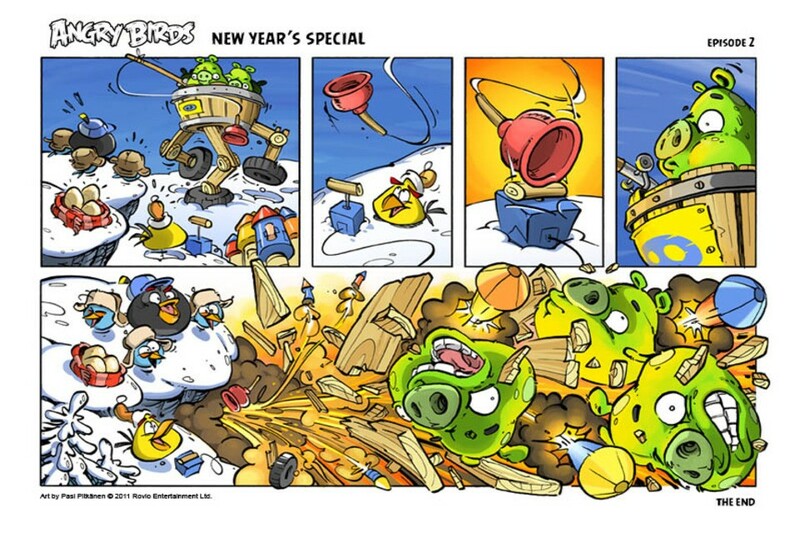 This is the third surprise of the day by Rovio! 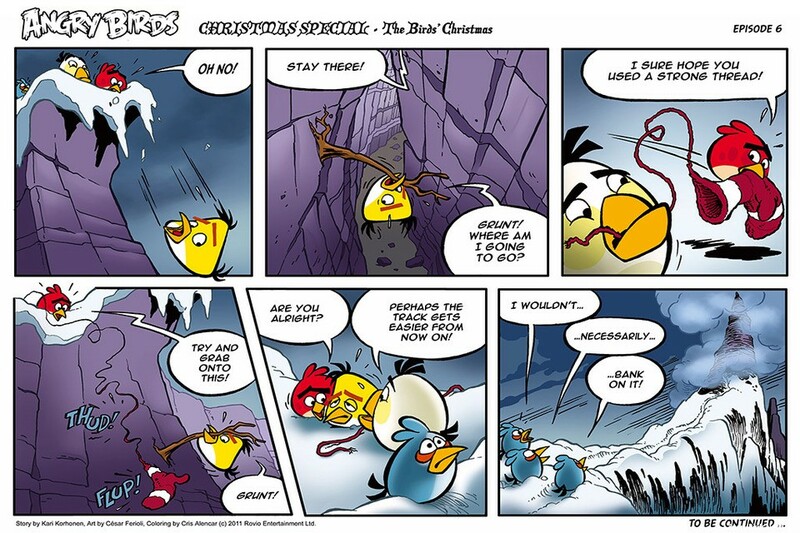 First was the launch of Wreck the Halls in Seasons. 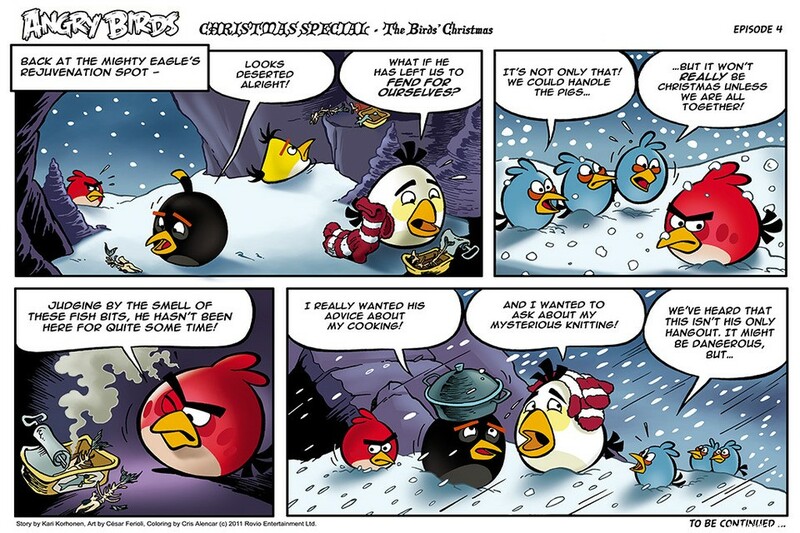 Next was a huge update to Chrome Beta. 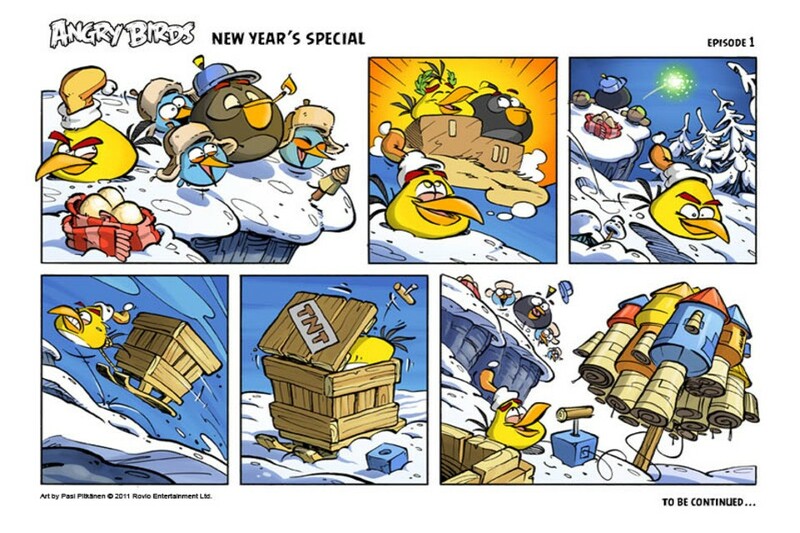 And now a comic! 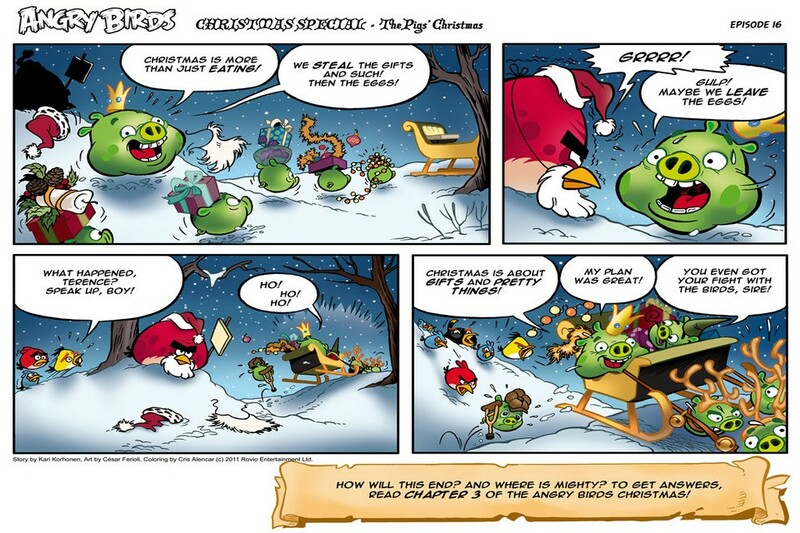 The green bird barely has a role in this comic. 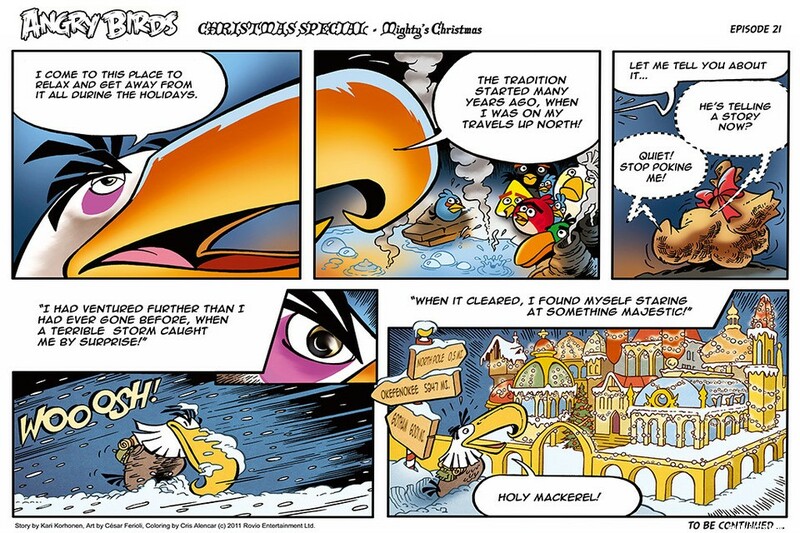 The wise Mighty Eagle theme throughout. 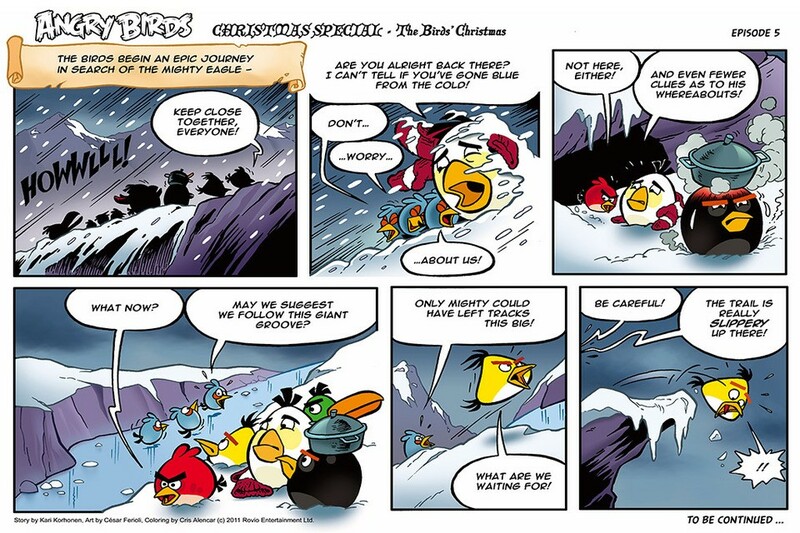 Interesting how being with friends takes the fear out of being lost or facing the challenges of this life.